Deepak Chopra - now helping developers?! The drive to develop smart-cities and developments continues unabated. The use of deeply analysed data can only help enhance planning and development decisions. In addition, tracking demographic trends and health requirements will help developers and planners build appropriately for communities. In this Florida community a new digital health platform developed by Deepak Chopra is going to help inform Lake Nona planners about how the community should grow. A focus on prevention of health problems, rather than expensive cures (a park instead of a hospital), can help development contribute positively to society. Houses are becoming more energy efficient and healthy (see our new Radon test requirements for houses in Ireland) and community facilities can be planned to help encourage healthy activity. The introduction of no-fry-zones around schools in Ireland is another small example. Planners and developers can work together to encourage better sustainable development projects for the long term. Everyone wins. More of this please! 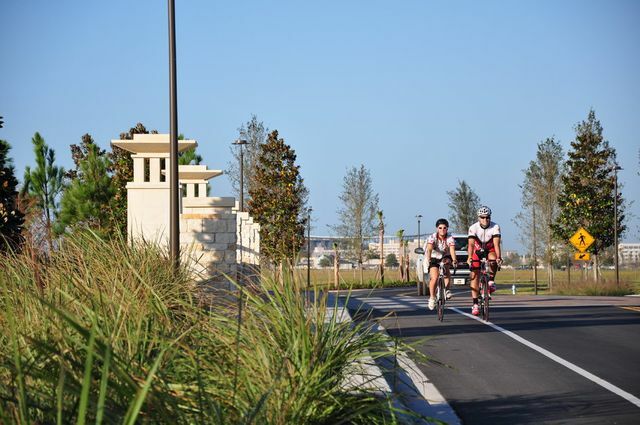 The developers also have established their own nonprofit, the Lake Nona Institute, which focuses on innovative technologies and programs for building healthy, sustainable communities. Most recently, Tavistock announced it would be rolling out a wellness initiative built on Jiyo, a comprehensive digital platform recently launched by health advocate Dr. Deepak Chopra. They are calling it a smart-cities approach to wellness. “Lake Nona has offered us the unique opportunity to create the Internet of wellbeing, the global brain for creating a more peaceful, sustainable, healthier and more joyful world,” said Chopra in a press release. More specifically, Joya will give developers a means to distribute needed health information. “We want to provide content and resources that have been vetted, that have strong trust and credibility,” Caulfield said.